Daniel is 35, successful, a high level professional and an accomplished academic - yet he is also a virgin, who fears that he will spend the rest of his life alone. More importantly, Daniel has existed in an emotional bubble all of his life, and has had no intimate friendships. In other words, he is not fully alive, and seeks psychotherapy because he is haunted by not understanding what is wrong with him. He is attractive to women, yet as soon as a woman tries to get close to him, he runs away. Lacking an inner foundation, he fears that women will annihilate him, like his overbearing mother who abused him as a child. 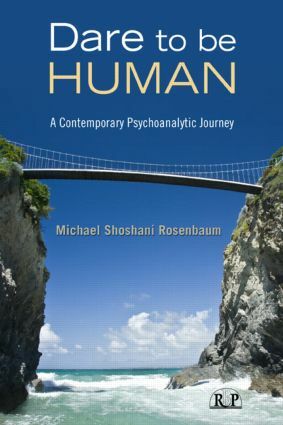 Quite simply, this book is an unprecedented achievement, taking the reader into actual psychoanalytic sessions and sharing with the reader Michael Shoshani Rosenbaum’s dialogues with Daniel, vividly illustrating his pain and struggle to transcend his existential plight. Furthermore, as the author of two sections of the book, Daniel himself provides a rare, insightful view from the other side of the couch, illuminating the challenge and change experienced within the other half of the therapeutic relationship. It is a compelling psychological adventure, fusing together the intimacy of the therapy with an account of the revolutionary changes that have occurred in the practice of psychotherapy and psychoanalysis over the last decades. Daniel is like no one else, and yet he is everyone, making this book a must for every person searching for self-knowledge, allowing the reader to identify with Daniel and his struggle to become human.